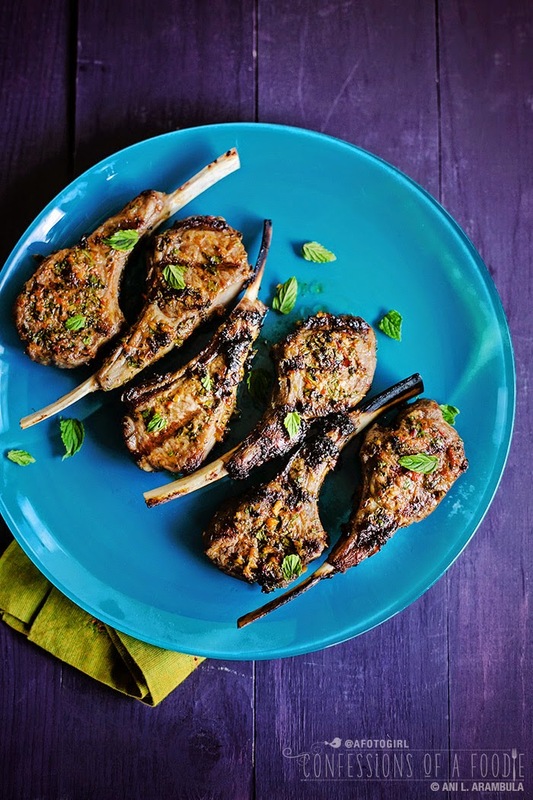 From eggs, to veggies, to meat, harissa adds big flavor to everyday dishes and this grilled lamb chop recipe is no exception. Remember earlier this summer when I posted my recipe for Harissa Chicken Wings? The tweet got favorited and retweeted by @harissa which prompted me to check into what they were all about. Some tweets back and forth later and I received two jars — the spicy red and the spicy green varieties — of Mina Harissa to try directly from Mina herself. Having just used the harissa I picked up at my local ethnic market, I was expecting it to be similar in texture and consistency. The harissa I used before was dark red and had a thick, tomato paste consistency. In doing research for that chicken wing post, I found out that traditionally, this is what harissa is. 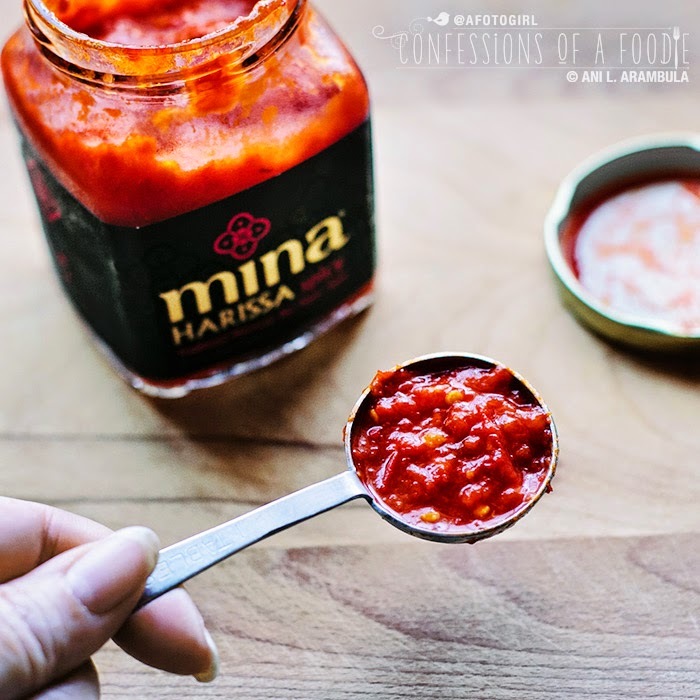 When I received my jars of Mina Harissa, I was taken aback over how beautifully vibrant colored the sauces are. The red and green sauces are ever-so-slightly chunky, salsa-like. I learned that Mina wanted to make Moroccan flavors more accessible to Americans used to their vinegary hot sauce so she played with the basic recipe adding extra virgin olive oil, vinegar and garlic. The red Mina Harissa is made from just 6 ingredients: red chili peppers, red bell peppers, garlic, extra virgin olive oil, vinegar and salt. The green variety is made with 7: green chili peppers, green bell peppers, garlic, extra virgin olive oil, vinegar, cumin and salt. That’s it. No fillers. No preservatives. And I gotta say, this stuff is freaking tasty. So far, I’ve used it in scrambled eggs, added a few drops on top of fried eggs, mixed it into a yogurt dipping sauce, combined some to a basic salad dressing, and used it as the major flavor component in marinade for pork, beef, and lamb. If I wasn’t such a heat wimp, I might even be tempted to eat it straight with chips. Alas, wimp here and these sauces have a definite kick. But mixed in with other ingredients, this is gonna replace a lot of the items on my condiment shelf. 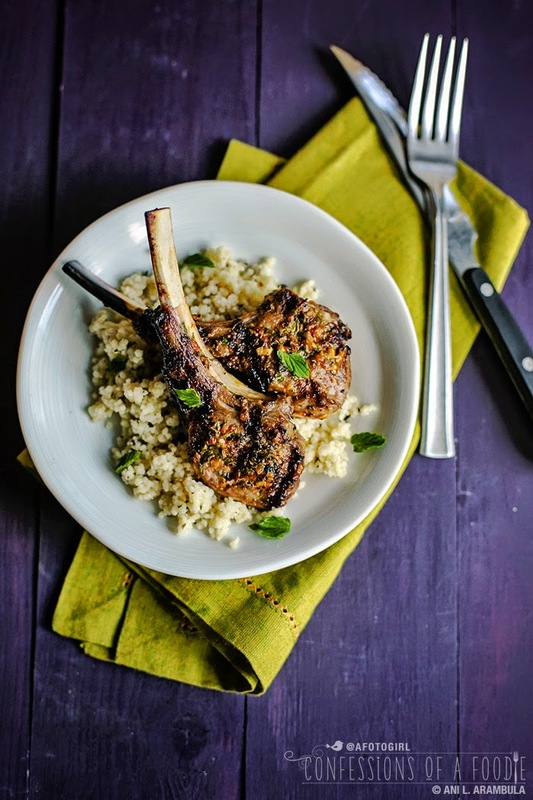 Today I’m posting this lamb rib chops recipe. Later this week, I’ll share my recipe for Lamb Burger Wraps that I served with Lemony Mint Couscous. Equally delicious! Be sure to enter the giveaway after the recipe so you can try out these sauces yourself! 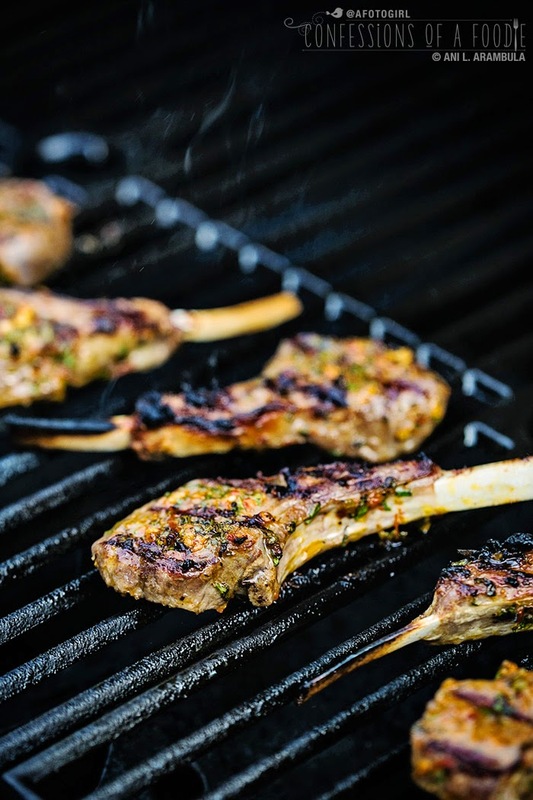 Have your butcher French the chops for you (clean the tips of the bone, essentially creating lamb “lollipops”). Plan ahead when making these. 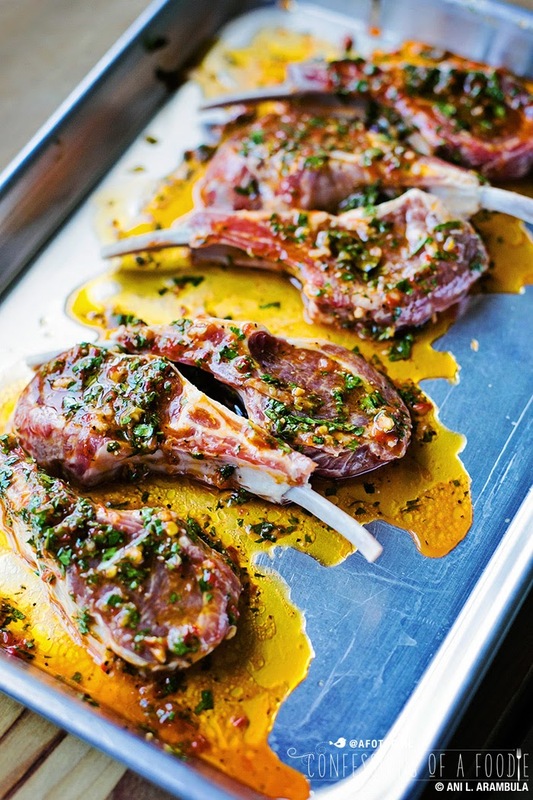 The lamb needs a minimum of 6 hours to marinate, preferably overnight. 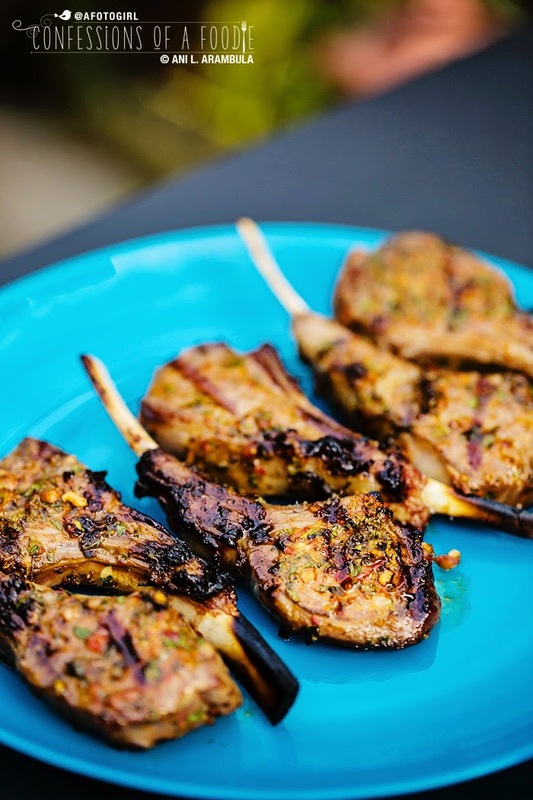 This marinade is equally delicious on pork chops which I made the same day I put the lamb chops to marinate (I left the chops to marinate about 4 hours). 1. Wash and pat dry chops. Place in a shallow dish. 2. Whisk together the harissa, olive oil, lemon juice, lemon zest, garlic, herbs and salt in a small bowl until combined well. 3. Divide half the marinade between the 6 chops using a spoon to drizzle over the entire surface of each. 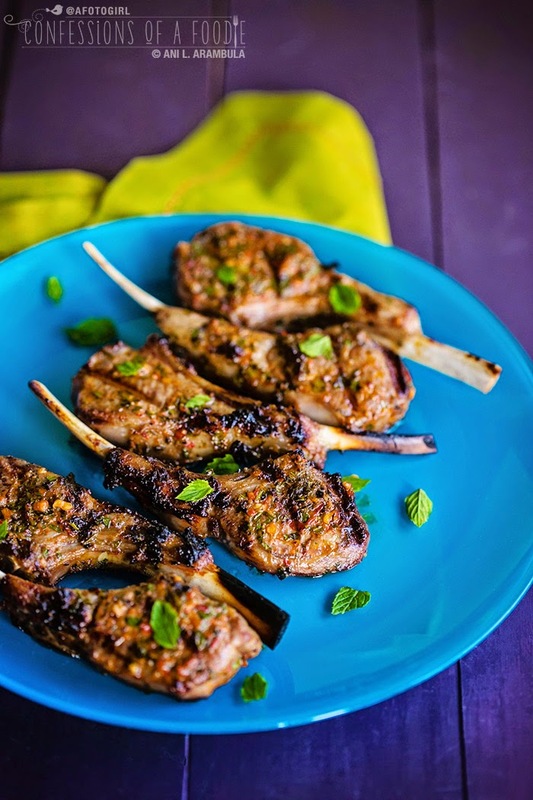 Flip chops and spoon the remaining marinade over them. Cover the dish with plastic wrap and refrigerate at least 6 hours, preferably overnight. 4. When ready to grill, remove dish with chops to countertop and allow to sit for 15 to 20 minutes. In the meantime, heat a grill to 400 - 450 degrees Fahrenheit. When hot, use a paper towel soaked with a little oil and grill tongs to rub down the grates. 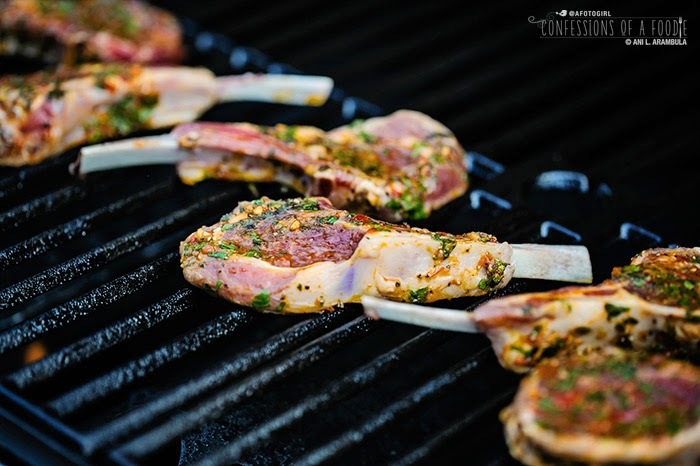 Place chops on grill and grill with the lid open for 3-4 minutes on each side. Remove to a plate and tent with foil. Allow to rest for 10 minutes before serving. 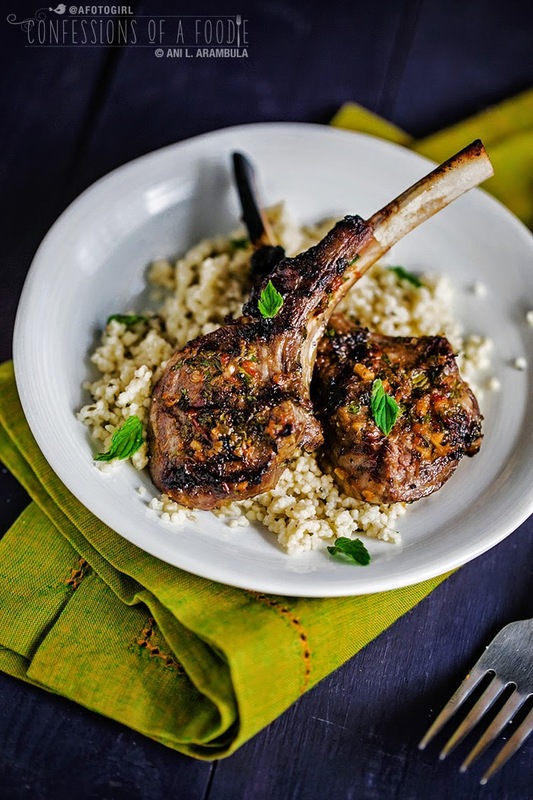 Serve with a side salad and couscous. UPDATE: 9/11/2014: The giveaway is now closed. Congratulations to Carolsue! To enter the contest to win a 3-pack of Mina Harissa sauces, follow the instructions in the Rafflecopter widget below. You must use the Rafflecopter widget to be eligible to win. You can earn up to 12 entries today and receive an additional entry once per day if you tweet about the giveaway. You have two weeks to enter. Contest ends at 12:00 a.m. on September 9. Winner will be announced here and on my other social media platforms. Winner will have 48 hours to respond via email to claim their prize. If no response is made, a new winner will be announced. Open to U.S. Residents only. Good luck everyone! 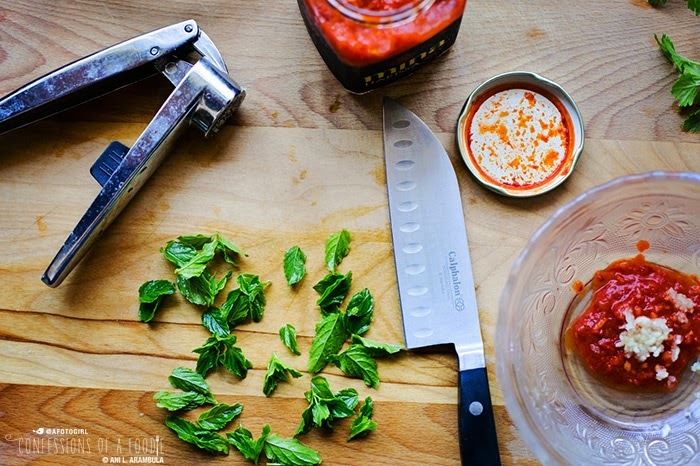 I can’t wait to see what you make with these tasty, versatile sauces! Disclosure: I received two jars of Mina Harissa from Casablanca Foods for editorial consideration. 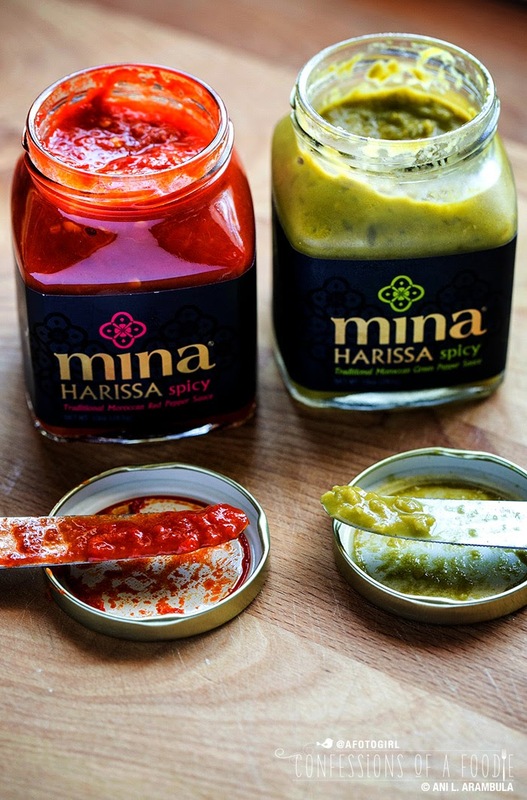 Casablanca Foods is also supplying a Mina Harissa 3-pack for the reader giveaway. I was not otherwise compensated for the recipe development or this post and as always, all opinions are my own and were not influenced by Casablanca Foods. Good luck with the contest! I love spicy foods but I have never cooked with Harissa before. I hadn't cooked with Harissa until this year and now love it. Having two different jars in the fridge now means I can add it to almost anything anytime: eggs, salads, marinades, sauces. It's so versatile. Good luck with the contest! Looks delicious! I have never cooked with or tasted Harissa! Looking forward to it! It opened me up to so many possibilities. Good luck with the contest! OH gosh! So do I! Good luck, Manda! mmm this sounds really yummy. Thanks for sharing this, looks simple to make as well. I cook. I shoot. I share. I'm a wine-loving, coffee-drinking, doggy-owning, award-winning visual journalist. 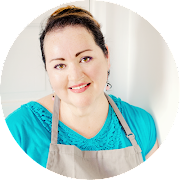 I share stories and photos about food and life. Welcome! Click on "About" above to learn more. Unless otherwise noted, all recipes, writing, photographs and videos have been created by, and are property of, Anita L. Arambula. Please click here for details.